As if to confirm the magic of this insight, in the local museum we saw that the Etruscans had had the same thought a couple of millennia before us, an elongated figurine called ‘Shadow of Evening’. Shadows went into my story, along with a real sense of place, and the book was ‘snapped up’ (ha ha) by the first publisher to see the revised version. And now the Ashmolean Museum had started stocking replicas of the statue. What could be more appropriate as a present for myself? I went off directly to the Ash and thereby maintained the tingle factor for the rest of the day. This was great advice. It’s so important to mark those moments when we step beyond the limits we think we are bound by. Such moments are fleeting: one needs to peg them down with an object. Or an event. Allison and Busby launched the book in their offices in New Cavendish Street. It was a sweet occasion surrounded by friends. The next event was more public, at Waterstones, and it was my first experience of the hot sweats of awkwardness, of ego struggle, of that voice that says, ‘C’mon, you know you’re enjoying all this flattery!’ and the other voice which wails, ‘I want to be at home with my slippers on!’ After that it was lit fests and other people’s launches and feeling itchy in my own skin. Then Allison and Busby got sold, my agent retired, and I started doing my books myself. This is a very good way of keeping your slippers on. It may just have been me, getting out of it all, but it did seem that launch parties became a thing of the past, certainly as far as publishers were concerned (our own Godstow Press included). But in the midst of all this economic gloom which is sitting on us, there have been two recently which I’ve attended, and neither of them made me feel anything other than happy and content. Both were funded by the author. 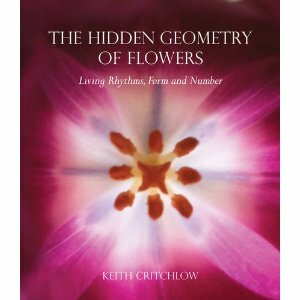 The first was Keith Critchlow’s, for his book The Hidden Geometry of Flowers, in the very appropriate surroundings of the Royal Horticultural Society in Pimlico. After drinks with geometers, artists, writers and tutors from the Prince’s School of Traditional Arts, we were ushered upstairs to a lecture hall where, with Warren Kenton presiding, we had talks about Islamic gardens, on flowers, and Keith himself on the geometry of flowers (with slide show). Despite the luminous nature of some of the guests, it seemed a refreshingly ego-less event. 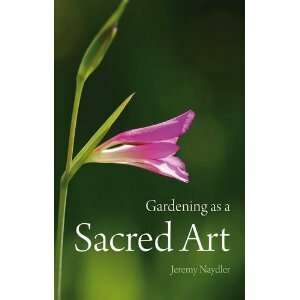 The other was Jeremy Naydler’s launch of his Gardening as a Sacred Art, held in the garden and meeting room of the Quakers in St Giles, Oxford. After cups of tea and slices of cake in the garden, the weather surprisingly warm and fine given it was the day the clocks went back, we went inside for a talk by Jeremy, spoken extempore without notes as ever, which entertained and inspired us all. After a long signing session, we went back outside, now dark, to launch a Chinese lantern. I knew what was in Jeremy’s mind as it finally rose into the air, ‘Oh good, another project finished.’ For that is what a good launch is, a farewell. Diligent authors will of course devote much time and energy after publication to promotion and sales, but even they will feel that their baby is in its coffin. They will be itching to get back into their slippers and turning their attention to the next one. You have done what only mothers and gods do: you have created new life. Start again before you’re ready. Take the rest of the day off. Take your wife or husband out to dinner. Pop some champagne. Give yourself a standing ovation. Then get back to work. Begin the next one tomorrow. I did not intend to give a launch party for Pallas and the Centaur, so Michael Shepherd stepped in and did it for me, treating about twenty Renaissance scholars to an exceptionally fine meal. It was incredibly generous of him, but it did wander a little into the hot, discomfort zone of being the centre of attention which, as all true authors will agree, is a place more rightfully assigned to the book, not the writer. Arrange yourself a banquet, by all means, but put the book in the place of honour.